Visitor management is a vital part of ensuring the best possible experience for all visitors to Kruger National Park over the coming festive season starting on Thursday, 7 December 2017 until Tuesday, 2 January 2018. With this in mind, South African National Parks (SANParks) would like to remind Day Visitors to the Kruger National Park (KNP) that daily quotas will once again apply at the entrance gates. "For busy periods such as the school holidays and festive season, we aim to better manage the volumes that we expect, as well as our visitors' expectations. The three different time slots are aimed at improving the spread of vehicles and, as far as possible prevent unnecessary waiting periods at gates", said the KNP's GM: Communications and Marketing, William Mabasa. The Day Visitor Quota for the park is a management tool to maintain the carrying capacity of the park and is always in place throughout the year though we turn to emphasize during long weekends and holidays because of the volume of visitors we usually get during those times. Visitors will be able to book up to 80% of Day Visitor Quota per gate via SANParks Reservations offices and online at www.sanparks.org. Pre-booked day visitors will get preference over non-booked day visitors at the gate but must ensure that they arrive within the time slots, as per their reservation. Arriving outside the booked time slot, will be regarded as non-booked and therefore will not receive preference. These bookings can be changed as well through SANParks Reservations offices if for some reason one decides to do so. Mabasa also reminded Visitors to read the permits which they receive at the gates because all the rules and regulations of the park are clearly stipulated on these documents. "Please do not bring liquor with you because the alcohol ban on public areas in the Park is a permanent rule which is enforced at all times; visitors must please also refrain from committing other infringements such as littering and speeding in the Park. These and other Park rules are emphasized to ensure visitors have a safe and enjoyable experience and hence must be adhered to at all times whilst in the Park;" he advised. "We also advise guests to exercise caution when driving around areas undergoing major construction such as Skukuza Camp so as to avoid unnecessary accidents", concluded Mabasa. Day Visitor pre- bookings are subject to a non-refundable booking fee of R40 per adult and R20 per child. Day Visitors who have pre-booked will still be required to pay Conservation Fees or use a valid Wild Card to enter the Park. The Conservation Fee for SA residents is R82 per adult and R41 per child between ages 2 - 11 and for international guests it is R328 per adult and R164 per child. The number and profile of persons (adults and children) on the reservation and actual persons arriving should correspond. All guests (drivers and passengers) will be required to identify themselves upon admission (by producing a South African driver's license, identity document or passport); please ensure you are in possession of one of these documents. Due to existing contractual arrangements with Open Safari Vehicles (OSVs), they have paid for the annual operating permit and are authorised to enter 15 minutes before Gate opening time to ensure fair distribution/flow of traffic. Gate Quotas will be strictly applied and guests without pre-bookings could be denied entry. Birding is a very popular extension of many visitors' purpose in visiting Kruger National Park. Various parks host annual coordinated weekends of bird spotting activity where members of the public gather in parks and in teams or as individuals try and record as many different species in the park in approximately a 24-hour period. Most of the SANParks birding events are organised by the various local regions of SANParks' Honorary Rangers who arrange things with the permanent staff of the affected parks. One should check the events page of the Honorary Rangers website for birding events not listed on the SANParks' website (http://www.sanparksvolunteers.org/events). The Kruger National Park Birding Weekends, facilitated by the West Rand Honorary Rangers, is one of the highlights on the annual birding calendar, and the biggest of these events, having been held annually at most of the camps in the park since 1999. Not only is Kruger Park one of the top birding areas in the country, it is a weekend of camaraderie between likeminded people, with birders from across the country descending on the park. The Rangers carefully select several difficult to access areas for the birding drives and normal gate times at the camps no longer apply, with drives leaving at three or four in the morning and arriving at wonderful birding spots by sunrise for the "dawn chorus". West Rand Region are proud to invite you to their 20th Kruger National Park Birding Weekends. From a dream and a handful of guests in 1999, this event has grown to accommodating an average of 600 guests at 15 venues per annum. We gratefully acknowledge the assistance received from Sasol and Clover, our major sponsors from the inception of this event. Guests can boost their birding skills and assist with vital conservation work. Enjoy dawn and evening drives, guided by experienced birding experts. Choose whether to spend these birding weekends in either main camps and bushveld camps in the Kruger National Park. Prices range from R3 135 to R3 933 per person depending on the camp selected and the weekends offered are from the 26 January - 11 February 2018. These events always rely on sponsors, but SASOL has been the primary sponsor for birding events for many years now. Get more information about the Birding weekends! Book your KNP accommodation now! In the past, the SANparks Online Bookings period enabled bookings to be made a fixed 11 months in advance. We are now attempting to increase the period to the online bookings client, while bringing our site up to international standards and keeping in line with our business rules. Kruger National Park (KNP) is currently implementing additional gate access control systems at its entrance gates in the Southern part of the Park, which will require that as from 1 September 2017, all visitors who are 18 years old and above must produce a positive identity document for scanning in order to gain access. For non-South African visitors, they must produce passports but a South African driver's licence will also be acceptable. The new system will assist with monitoring of people's movement who enter and exit the Park, and will ensure that information related to any persons entering the park is centrally recorded and monitored. "The system will apply to everybody including SANParks staff members, suppliers and other residents of the Park and is expected to improve on our proactive surveillance, early warning and detection. In our quest to continue to enhance security for both wildlife and visitors, we will continue to make use of appropriate security technology"; said the KNP's Managing Executive, Glenn Phillips. Visitors will still be required to go through their normal check-in or check-out at the gate receptions before proceeding to the security scanning process. Training for the security personnel on the upgraded system is underway in order to minimize possible delays as soon as the new operation kicks-in. We request that tour operators and ground handlers communicate this requirement with their guests. "We recognise that we have to keep a very fine balance between imposing potentially anti-tourist friendly security apparatus whilst also ensuring the protection of both Tourists and Wildlife. We request the public to be patient during these very necessary security processes," concluded Phillips. 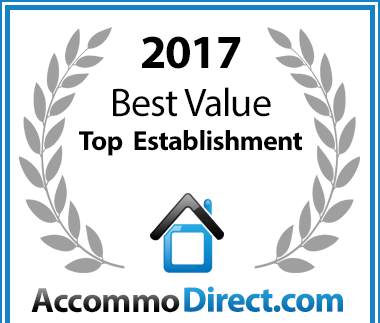 Thokozani Lodge has won the 2017 Top Valued Establishment Award! A big “Thank you” to all our guests! Thokozani Lodge has been voted a Best Value Establishment for where to stay in White River accommodation. Thokozani Lodge is very proud of this special achievement thanks to our guests who reviewed us. If you feel the same, book your accommodation now. 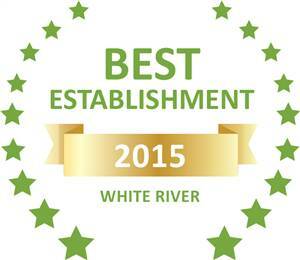 Based on reviews of establishments, Thokozani Lodge has been voted Best Establishment in White River for 2015.